Certain clichés permeate different films. Parodies like Scary Movie (and the other, awful franchises that followed) couldn't exist if movies didn't draw upon these stereotypes. Japanese samurai films are unquestionably rife with their own brand of clichés; the two samurai dashing at each other, swords drawn, only to have one fall to his death. No samurai movie would be complete without the heaps and heaps of nameless, dead lesser warriors. In order for the Toshiro Mifunes to look good, he has to build his reputation on the corpses of villains who tried and failed to best him. But one man has stood head and shoulders above the rest as an exemplary fall man. Seizo Fukumoto has been on the business end of a prop sword for over 50 years. You'd think constantly dying to more handsome, charismatic men would take a toll on his ego, but Fukumoto has found a niche where he is comfortable. His (incomplete) IMDB page speaks for itself, listing over 50 roles. He's had the privilege of working beside Tom Cruise, fighting ~~Xenu~~ ~~his ex-wives~~ Western forces in The Last Samurai, and appeared in the God-awful Message From Space, the 70s-era Japanese Star Wars rip-off. Fukumoto was even presented with a special award from the Japanese Academy Awards for his remarkable career. Fukumoto in the background, moments before Tom Cruise flew away in his spaceship made of money. How did he do it all? While other actors aspired to be a leading man or comic relief, Fukumoto just died. Over and over. NPR claims that he has been killed in one form or another over 50,000 times. The films that Fukumoto appears in are sometimes called chanbara (sword fights) movies. 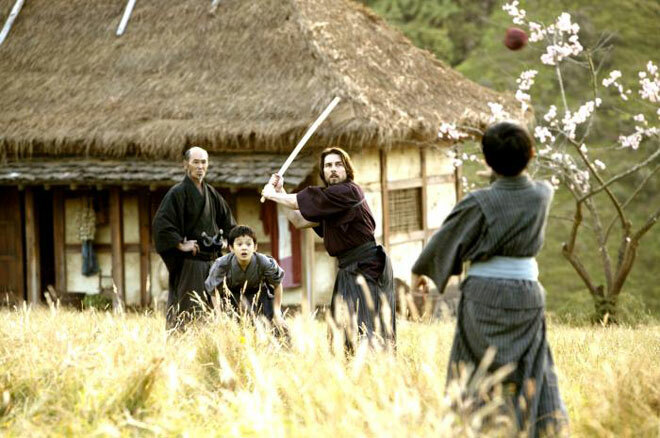 Believe it or not, chanbara exists outside of the world of Japanese samurai movies. Sword skills obviously aren't really needed in the real world anymore, but people are still drawn to the beauty of sword combat, so they've turned chanbara into a sport of sorts. 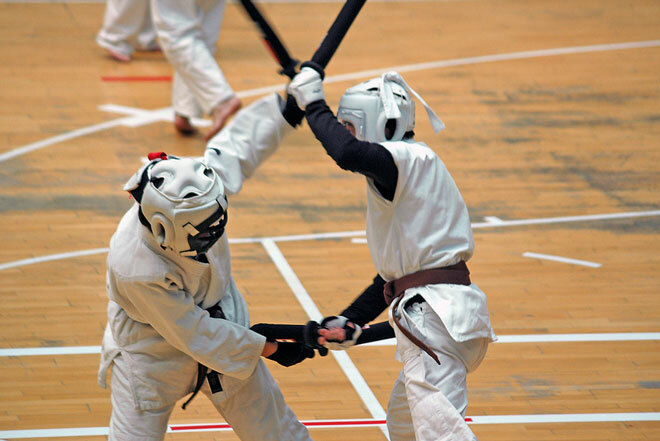 Not to be confused with kendo (which has its own set of rules and beliefs), chanbara as a sport isn't really as established as other sports like it.